Dvořák’s Symphony in B flat major, composed in 1865, is outstanding both for its great wealth of melody and its ingenious handling of the masses of orchestral sound. If the composer has failed to achieve the desired homogeneity in the two outer movements, of which the finale in particular is shocking for the rather jarring colors of the concluding bars, he has still given us two wonderful movements, pieces that reveal his marvelous talent: an Adagio with a bucolic central motif enshrouded in a gently poetic haze, and a frolicking Scherzo full of magnificent ideas that exude pure sincerity. The recording of the Symphony No. 2 in B flat major, op. 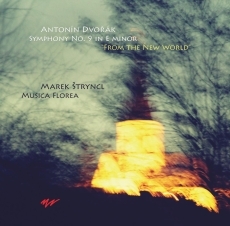 4 (B 12) by Antonín Dvořák (1841–1904) played by the ensemble Musica Florea is part of a longer-term project, which aims to perform and subsequently release audio recordings of all nine symphonies by Antonín Dvořák in authentic interpretations on period instruments or copies of such instruments in the spirit of period performance practice. In the case of the Second Symphony, the performance will be of the original version, predating the revisions Dvořák made in connection with preparations for the world premiere in 1888. 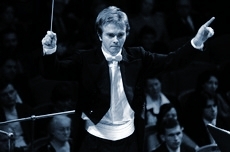 The recording will therefore give us a unique opportunity to get an authentic look at the quality of the composer’s work during an early phase of his creative development and to discover the departure point from which the novice composer developed his original symphonic style, refined over the following decades, and taking shape as masterpieces that are among the supreme works in the context of their period. 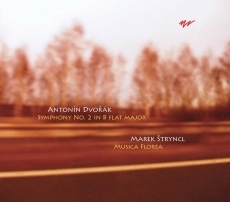 One can hardly imagine more difficult conditions for concentrated labor on a large-scale symphonic work than those that Antonín Dvořák faced at the time when he was composing his Symphony in B flat major. At the time, the twenty-three-year-old composer, still totally unknown, was suffering bitter disappointment over his unrequited love for the actress Josefina Čermáková, and his financial situation was also rather uncertain: as a member of the viola section of the Provisional Theatre, he only earned enough money for a bare existence, alleviated somewhat by his modest income from piano lessons. He lived in a rented flat – a rented room to be exact – on Senovážné náměstí (Haymarket Square) in Prague, where he squeezed in with another four noisy youths and an old, out-of-tune spinet, the quality of which would probably be best described by the name given to it by the renters: “plinky-plink”. Dvořák could not afford a piano of his own at the time, so it was with the help of this instrument that he began working on 1 August 1865 – naturally without any hope of a performance – on what would become his lengthiest symphonic work; none of his later symphonies exceeded its length. It would seem that the novice composer’s invention was truly boiling over and needed an outlet, because he started work on his new symphony just four months after having completed another large-scale composition, his First Symphony in C minor (The Bells of Zlonice, B 9), while in the mean time he also managed to create a vast cycle of eighteen songs to words by Gustav Pfleger-Moravský titled Cypřiše (Cypresses, B 11). The Symphony in B flat major exhibits all of the typical features of Dvořák’s early style: it is overflowing with invention, vitality, and obvious enthusiasm. Although the inexperienced composer was not yet able to make as convincing use of his musical ideas as he would do in his greatest symphonies, this is still a remarkable work by a young artist who had received no official musical training in the field of composition, and who had gained whatever knowledge he had of the laws of large-scale forms only from his own study of the scores of the great masters. The nature of the bulk of the thematic material is indicative of Dvořák’s fascination at the time with the Romanticism of the New German School. The second movement can be regarded as the most original portion of the work, and its broad melody already prefigures the composer’s future brilliant adagios; the concluding movement likewise is one of the most original, inspired creations from this phase of the composer’s career; the movement’s expansive gestures overflow with expressions of the joy of life. As a whole, the symphony’s greatest asset is its convincing orchestration; instrumentation is recognized in general as one of Dvořák’s greatest strengths as a composer. A typical feature of the work – especially in comparison with the preceding Symphony in C minor – is its lyrical, almost pastoral mood. Although the Symphony in B flat major has long been the least known part of the composer’s symphonic legacy, it conceals a surprising connection with another of Dvořák’s works, one of his most famous, in fact – the opera Rusalka (The Water Sprite, B 203), composed thirty-five years later. A leading Dvořák scholar David R. Beveridge discovered that it was actually from the fourth movement of the Symphony in B flat major that the composer had “borrowed” the motif that is the cornerstone of the opera. In the context of the opera, this striking four-note motif usually appears at especially serious moments or when the dramatic action comes to a head. The motif plays a major role at the very end: following Rusalka’s deadly kiss and her great song of forgiveness, after the words “Bůh tě pomiluj” (God have mercy on you), the motif is played fortissimo by the brass in its original form, as it appears in the symphony, as a climactic catharsis. For the sake of completeness, we should add that Rusalka was not the first instance when Dvořák used his Symphony in B flat major as a motivic source for a different work. Back in 1879, he had employed some of its themes in his cycle of piano pieces titled Silhouety (Silhouettes, B 98). Considering the total length of the symphony (it usually takes over fifty minutes to perform) and the circumstances under which it was composed, Dvořák completed it in a very short period of time: just over two months. According to insufficiently documented reports, he later intended to destroy the score, as he had done with some other early works. We will probably never learn whether this was actually the case. The fact remains that the Symphony in B flat major met a fate similar to that of a number of the composer’s other works created at the beginning of his artistic career: after its completion, it stayed in a “drawer” for twenty-three years before receiving its first public performance. It was only then that the symphony and a few other early works by the now world-famous composer received deserved attention. In the latter half of the 1880s, the composer devoted himself intensively to the forgotten works of his youth, with an effort to bring them back to life. 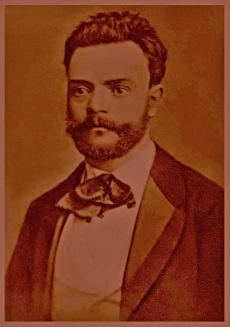 Antonín Dvořák wrote to his friend Alois Göbl in August of 1887: “Perhaps this year in Prague you will hear my Symphony in B flat major from 1865.” And he added: “Then I have plans for the rest of them, too: E flat major, F major, and D minor, which are still completely unknown. So I think it will again be one big surprise.” The composer subjected his Symphony in B flat major to a revision, and he pushed not only for its belated premiere, but also for a printed edition from his chief publisher Simrock. While a performance of the work actually took place on 11 March 1888 at the Rudolfinum in Prague with Adolf Čech conducting, the symphony did not appear in print during Dvořák’s lifetime. It was first published in 1959 as part of the critical edition of the composer’s works. 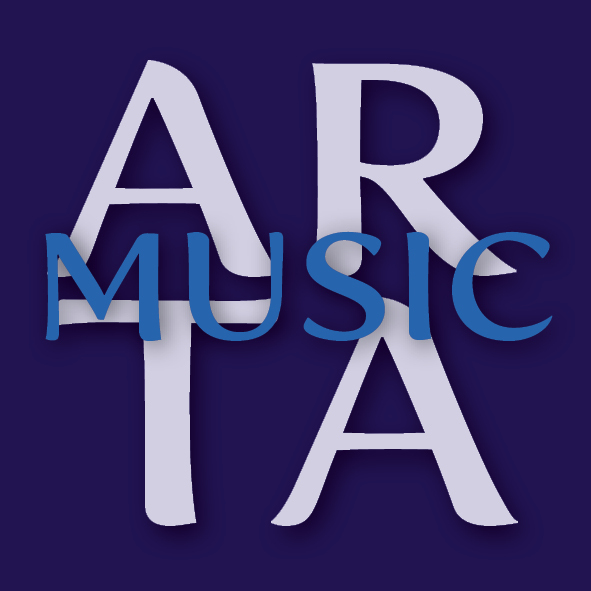 When Antonín Dvořák conducted his Stabat Mater in London (1884), there was enthusiastic applause between the individual movements (this was not unusual during the nineteenth century), and the English critics mentioned, among other things, that Dvořák had made tempo changes that were not indicated in the score. Antonín Dvořák was not alone in making constant tempo changes. Already in 1833, J. Feski explains that slowing down during diminuendos and speeding up during accelerandos had become an entrenched mannerism in the thinking of musicians and audiences, and that a gentle phrase in a fast movement, for example, would be played more slowly, while a more powerful phrase would be played more quickly. Already during the latter half of the eighteenth century, Carl Philipp Emanuel Bach describes how he can take the liberty of influencing the tempo as a whole when playing alone or with intelligent people. What happened during the twentieth century, leading to the ascendancy of the opposite opinion, that “moody” transformations of tempo are amateurish, and that professionals should avoid such emotional changes? Mendelssohn, Dvořák, Wagner, all of them would have been vehemently opposed. In the interpretation of Romantic works, unmusical norms gradually took over during the 20th century, based on the premise that nothing should exist that is not written in the score. Our recording of Dvořák’s Second Symphony puts back in play the Romantic ideal, in which emotion, passion, and expressive character reign supreme. In the nineteenth century, the rhythmic component of the music as well as tempo and even intonation (“out-of-tune” and “in-tune” tones and intervals were deliberately differentiated and used) were all subjugated to this ideal. Various rhythmic figures were given more of an edge or, to the contrary, were relaxed based on the kind of musical expression. And this was done even in orchestral playing. 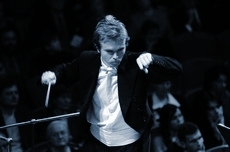 In Romanticism, orchestras were not afraid to allow decorative elements – “portamento” (a glissando connecting tones of different heights), free bowing changes supporting the typically Romantic ideal of uninterrupted, lengthy melodies and gradations, the “mannered” use of tremolo, the passionate growling sound of the brass – originally wrought instruments, tempo rubato… All of this can leave us in no doubt that the musical interpretation of the nineteenth century (would have) had no tolerance for uniformity of expression and “academic” pedantry. Rather, it was richer and more varied.